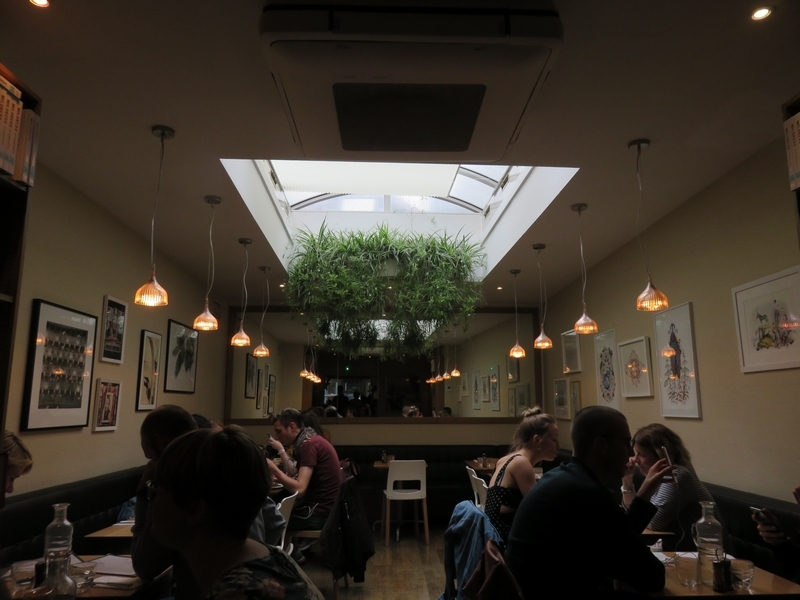 Restaurant review #139 – Mildreds is a vegetarian restaurant in London, and has four locations: Soho, Camden, Kings Cross and Dalston. We went to the one in Soho during our short trip to London this Summer. 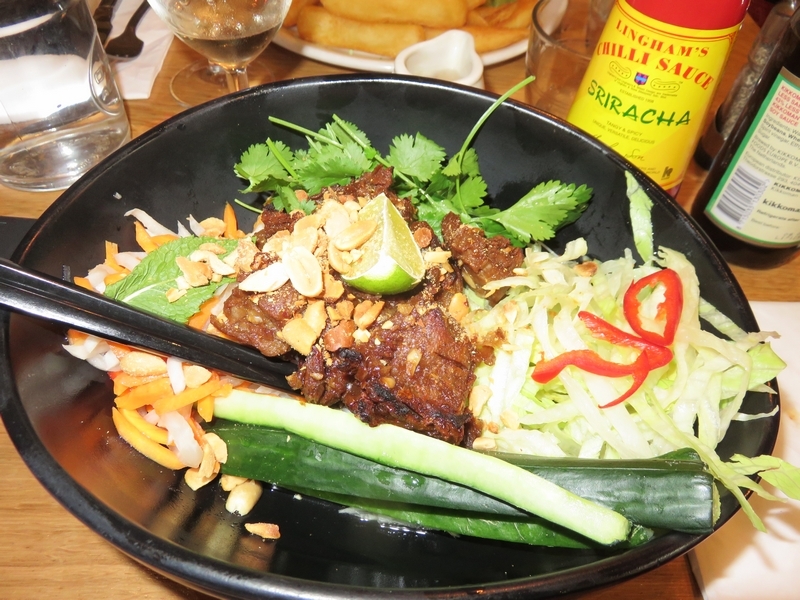 It is in the south side of Soho, near the very busy Piccadilly Circus. We could not make a reservation, as the restaurant has a no booking policy (which we do find quite annoying, and has left us avoiding certain places in the past). But we had no other dinner plans for that first evening in London, and the restaurant was not too far from out hotel, so we headed there early hoping to get a spot. We arrived a bit before 6PM, and luckily, there was still space. 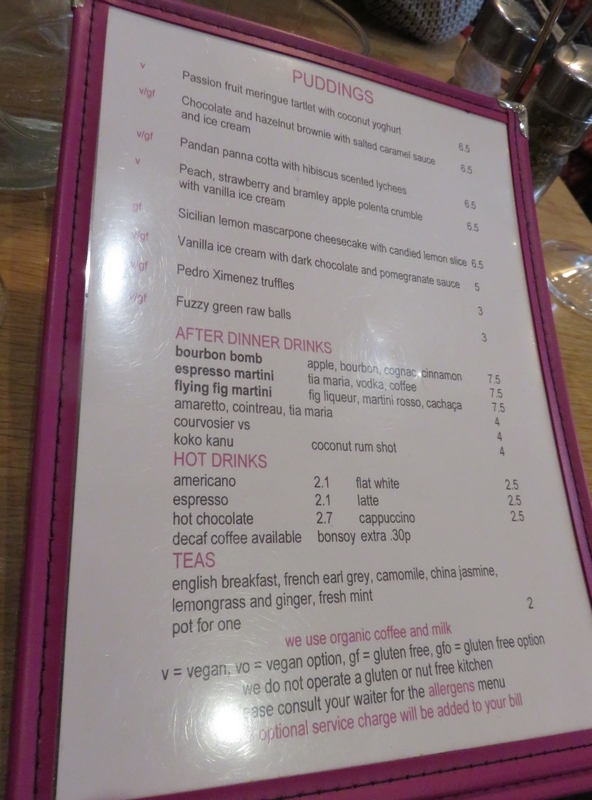 Vegan options are clearly indicated on the menu and the wine list also clearly indicates the vegan wines (I think they were all vegan). We were served free water, which was nice! Glass of wine was £5,5. 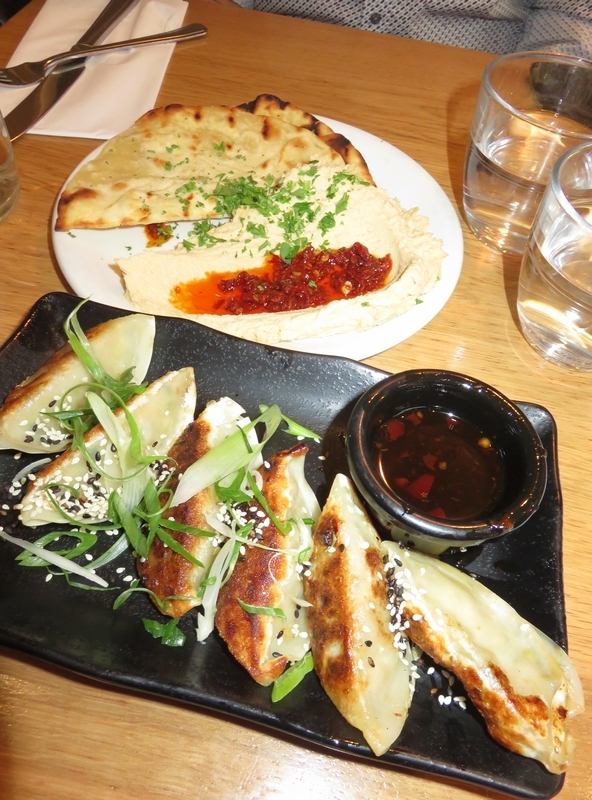 The food was nice, and all in all – considering it’s city center London! – good value for money. But it didn’t really give us a wow experience. The starters were nice. The pie was a bit too smoked to our liking. The mock duck came with some instructions on how to mingle the food and sauce (but I could hardly understand the waiter because of all the noise, so just dug in). 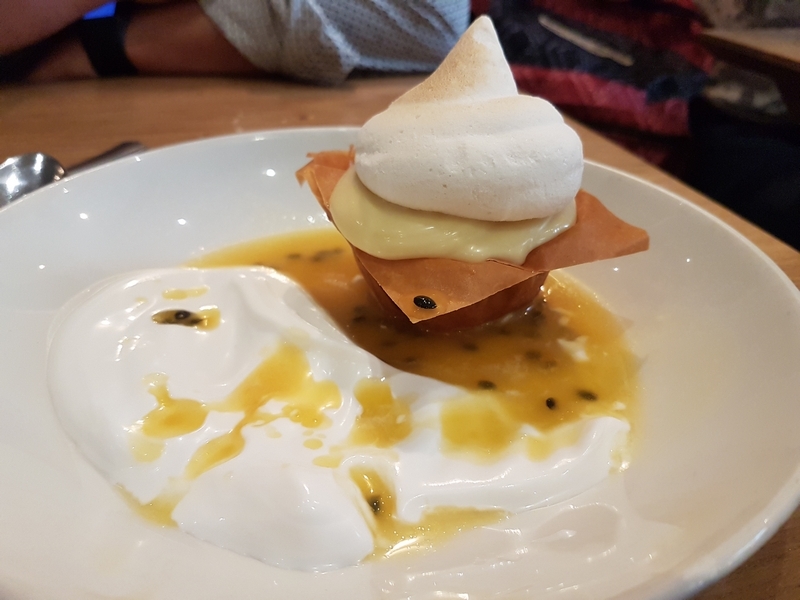 The meringue tart was nicely presented, but the meringue itself (made from aquafaba) wasn’t crispy nor fluffy, but had a bubblegum chewy texture. While we were having dinner, the place soon filled up, and it was jam packed. It was very crowded. Tables are placed so closely next to each other, one can almost eat from the other tables dishes. With a full house, it was also very loud, we could hardly understand each other, unless we would have started talking very LOUD, which a lot of the other patrons were eventually doing (to be able to hear one another I guess). Service was also very rushed with staff hardly taking the time to communicate with us (it also wouldn’t hurt to smile once). We got the impression they wanted to clear our table as quickly as possible to let others – there was meanwhile a queue going all the way to the outside – take our table. Staf was really rushing back and forth to the tables, and with everything placed so closely next to each other in the restaurant, that also meant an annoying bump to my chair every now and then. Not nice. To get out of the restaurant, we had to wade ourselves through the mass at the front section of the restaurant, queuing to get a spot. 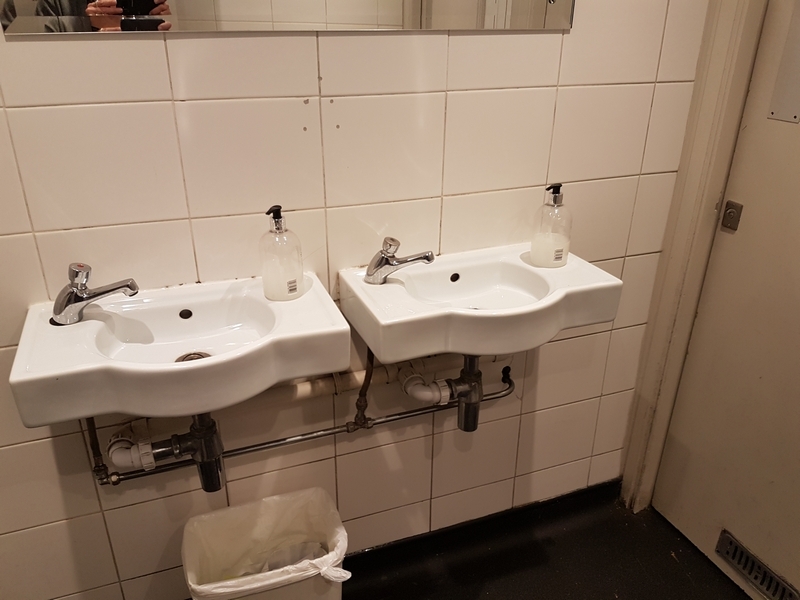 Toilets were with narrow stairs to the basement, and could use some renovation. 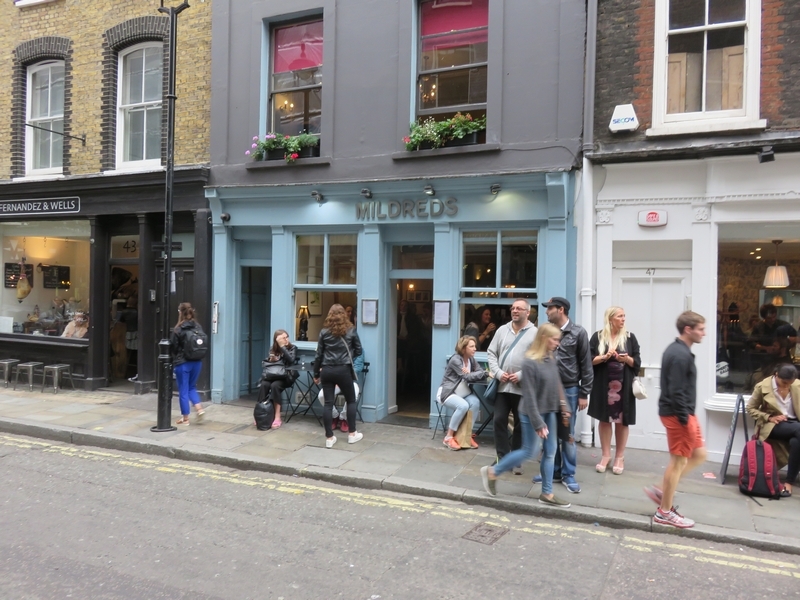 So we did not really have a relaxed dinner at Mildreds in Soho. The food was ok, but the atmosphere killed it. Too much hustle and bustle. 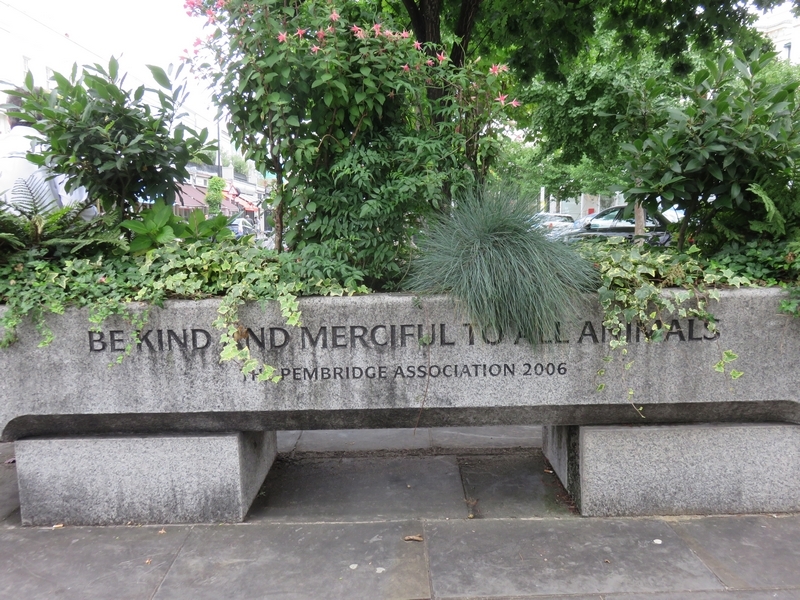 Perhaps the other locations of Mildreds are more relaxed, maybe we’ll explore those on a next trip to London! We were in London to visit the Pink Floy Exhibition at the V&A. It was majestic! 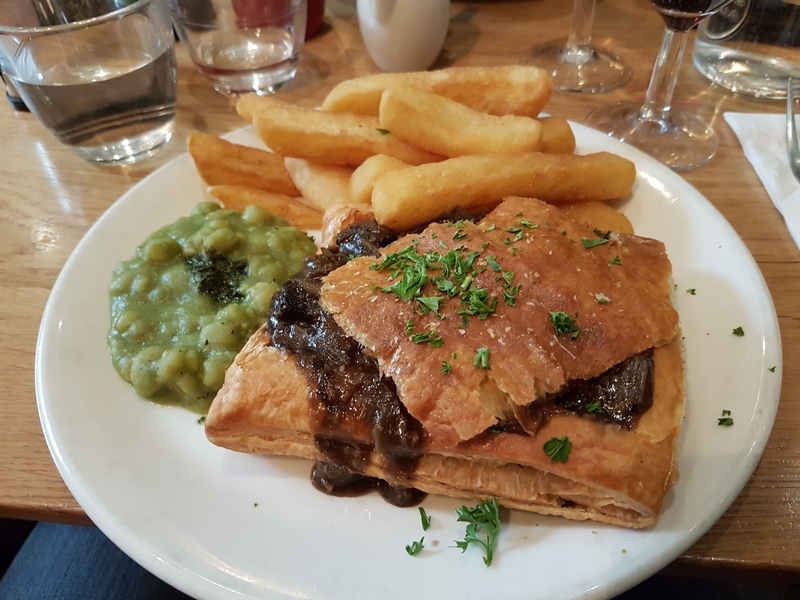 Yep, this does look like a place that would fill up quickly… Photos of the food are beautiful, and once I’m off the slow-carb diet I’m going to try my hand at the mushroom pie!